Heroic achievement in the superior performance of his duties while serving as Scout Sniper attached to 3d Platoon, Lima Company, 3d Battalion, 3d Marines, Combined Joint Task Force-76, from November 2004 to May 2005, in support of Operation Enduring Freedom. During this period, Sergeant Stanton displayed continuous drive and intellect as the Scout Sniper team leader. His tactical advice during mission planning was instrumental to ensuring the platoon’s success during extended patrolling operations in Laghman Province. Sergeant Stanton successfully planned and led numerous reconnaissance patrols during combat and security operations. He displayed tremendous leadership and coolness under fire during two enemy engagements in Laghman Province. His sense of humanity was clearly evident when he ensured that two badly burned local nationals got access to medical care during a patrol near Forward Operating Base Mehtar Lam. His hard work and tireless focus on mission accomplishment was inspirational to his fellow Marines. 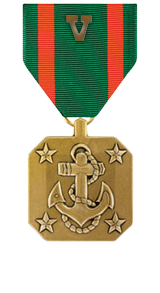 Sergeant Stanton’s initiative, perseverance, and total dedication to duty reflected great credit upon himself and were in keeping with the highest traditions of the Marine Corps and the United States Naval Service.